What is a Reservation of Rights Letter? You file a claim with your insurance carrier. The carrier acknowledges the claim and starts their investigation. A week or so passes and you receive a Reservation of Rights letter. What is it and what does it mean? 1. The carrier is investigating the claim and may think you are not liable for the claim. In this instance, you would have had coverage if you were liable so they mostly likely will continue to defend you if a lawsuit arises. 2. The carrier needs more time to investigate. This ties in with #1; however, the claim might be moving quickly and the carrier wants to make sure their investigation is thoroughly completed. 3. The carrier has noted in the letter that policy language could cause this claim to be denied, but they are still moving forward until that can be fully determined. Insurance policies are complex contracts. Reading your policy when you receive them is a best practice but is always recommended. At a minimum, read the headings on the exclusion pages. If something concerns you, call your agent for an explanation. If you live in the Midwest region of the country, or “Tornado Alley”, it is almost inevitable you have experienced some form of wind and hail that may or may not have resulted in an insurance claim. Whether it was your personal home, auto, or maybe a rental dwelling, you have seen the damage that Mother Nature can cause during the storm season. There is not a universally correct deductible option for everyone and it is not a certainty that you will have the liberty to choose which form will apply to your policy, but there are a few factors to understand how your deductible will affect your policy. If you have a flat $1,000 deductible, that money would be deducted from your claim. So, if your insurance company has determined that you have an insured loss worth $10,000 you would receive a claims check for $9,000. Percentage deductibles are based on a percentage of the property’s insured value. So if your house is insured for $100,000 and your insurance policy has a 2 % deductible, $2,000 would be deducted from the amount you are reimbursed on a claim. In the event of the $10,000 insurance loss, you would be paid $8,000. Realizing how your deductible will apply to your property schedule is crucial. Say you have 10 rental dwellings and a single hail storm damages all 10 roofs. If you have a $1,000 per location deductible, that would equate to $10,000 in total deductibles you would pay if you were to file a claim to replace all your roofs. Using the same situation where all 10 properties are damaged by one storm, if instead you have a $5,000 per occurrence deductible, you would only pay one $5,000 deductible if you were to file a claim to replace all your roofs. Not all carriers will offer a per occurrence deductible, and depending on the number of locations you have and the total insurable value of your portfolio, it may not be the right fit for you. It is important that you consult your agent to explore all the possibilities that are available to you and figure out which deductible structure suits you the best. Many companies are now considering wellness plans and how they can help reduce health insurance costs. With health insurance costs on the rise every year, I can see how this becomes a topic for health insurance brokers and TPA’s (Third Party Administrators) to explore. What is seldom talked about, however, is how a wellness plan can reduce your Workers’ Compensation costs. When we are looking at ways to cut costs, the addition of a wellness plan is an expense that just might pay for itself. Consider that a Duke University Medical Center analysis found that obese workers filed twice the number of Workers’ Compensation claims, had seven times higher medical costs from those claims, and lost 13 times more days of work from work injury or work illness than non-obese workers did. Further, smokers were absent from work 50% more and took longer to recover from injuries. With Workers’ Compensation costs continuing to rise, a wellness plan can promote the balance between treating injured workers and returning them to work with cost containment strategies. By implementing a wellness plan and incorporating it into your workplace accident procedures, the ROI (Return on Investment) for Workers’ Compensation alone is estimated at 4:1. Knowing this, some companies are starting to involve the risk management department in the development and implementation of wellness plans and then offering it to injured workers as a way to get them back to work quicker. Because the best, and easiest way to educate employees and get them engaged in wellness is through their health insurance, many companies are now offering incentives to encourage participation in wellness programs such as lower deductibles, additional employer contributions to HSA accounts, lower coinsurance, etc. On the flip side, others are introducing the “stick” approach whereby deductibles and co-payments are higher, etc. for not participating in wellness initiatives such as smoking cessation plans or health risks assessments. The real savings derived from a wellness plan that is often overlooked is the cumulative savings when it is incorporated into a company’s benefit package. For example, add all the savings that the health insurance community describes with the Workers’ Compensation facts I just explained and the savings from both sides are exponential. If you are under a fully insured (standard) group health plan and a Workers’ Compensation fully insured plan, this could be a good savings. If you are self insured or insured in a captive or large deductible, the savings could be even more and would start immediately in this case as the cash flow is more rewarding early on with this type of plan. Would all industries benefit from this approach? Since Construction, Oil and Gas, Service, and Manufacturing pay much higher Workers’ Compensation rates than industries primarily with office workers, they stand to benefit the most from implementing a wellness plan. If I were a CFO at one of these companies I would consider this immediately. Work Comp is a very complex policy. Most people think they have no control over the costs of work comp costs. However, work comp is very controllable if you are proactive and get involved. Most importantly, hire an agent that specializes in work comp. I want to cover just a few topics of work comp that most don't think about. The Claims process. When your employee got injured what did you do? Did you send them to the Doctor who prescribed pain medication for a strained back and recommended they stay off work for a week? Did you know that if your employee can be back at work, even light duty work, within 72 hours of his claim, you save 70% of the cost of that claim. It's important to know the doctor you are using. In case of a strained back, the employee could have probably been ok going home for the day, taking ibuprofen and coming back the next day for light duty. Did you know that when a claim occurs the insurance carrier sets a reserve amount for how much they think the claim will be? That reserve amount counts the same as actual claim dollars spent. It's important to always request your loss runs 5 months after the anniversary of your work comp. After the 6th month the claims or reserve dollars shown will then effect your experience mod for the next year. However if you get the loss runs and notice a claim should be closed, or you dispute the reserve amount, you could save money. The longer your injured employee is out of work the worse your experience mod will be affected. It's important that you or your agent are in constant contact with the: Employee, Doctor, and Case Manager. Believe it or not, sometimes work comp claims go unnoticed and you have an employee with a sprained ankle supposed to be out for a week, and he is still in the Work Comp system 4 weeks later. Transferring Risk. If you use subcontractors you will always want to make sure they have their own work comp policies. If they do not, you will be hit for their costs come audit time. Not only do you want to collect certificates from them, you want to have them sign a contract which makes certain their insurance pays first. In most policies, waiver of subrogation, primary non-contributory and indemnity clause are only enforced if there is a contract in place between you and your subcontractor. We have a method of protecting our clients in this area. Hiring Practices. You are probably thinking, how could my hiring practices affect my work comp? First of all, are you hiring a criminal? Are you hiring somebody that has figured out the work comp system? You want to make sure you are at least doing background checks and drug tests. These employees you hire are the face of your company, you want to make sure they are keeping the reputation you worked so hard for. With regards to the recommendations I made above, we can help with all of these items. We are setup to give access to our clients to run their own background checks for their employees. We brought in an attorney to develop a contract for us to give to our clients who use subcontractors. We would still advise our clients to have their attorney look over. And relating to your claims process, we make sure we cover every angle when a claim occurs. Using claims and loss data can be a helpful tool in reducing your future workers compensation losses. Two types of forms that are readily available are your OSHA logs and your Loss Runs or Claims Reports from your Insurance Carrier. If you maintain your OSHA log year round, as required, it’s a great tool to provide you with information on where your claims are coming from. It will give you dates, job titles, types of injuries, and days away from work. The OSHA 301 will contain even more detailed information. You can combine this with the Insurance company loss runs to obtain a good amount of information to track and trend. I recommend an accident investigation form be used that contains all the needed information to complete all of your forms after an injury. There are also several online OSHA tracking programs such as OSHATrac.com and OSHA300Online.com that will track your injuries and give various reports. If you have more than a few small claims, Insurance Carrier loss runs should be provided to you either quarterly or monthly. The loss runs can be very basic so I would recommend asking the broker or carrier what reports are available. Some will have very detailed reports available if you ask. They will show many types of graphs and trends. If your broker makes it hard for you to obtain this information, you could have the wrong broker. In addition to trending, the loss runs will give you good information on what’s going on with the claim since the last loss run. Look for changes in numbers such as paid (amounts already paid on a claim) and reserved (estimates of amounts expected to be paid on the claim) on all open claims. We will discuss this in detail in another article. This information should be reviewed regularly by the CEO, HR Department, Safety Department, and Safety Committee. They should all be looking at ways to improve your safety and prevent losses in the future by noticing trends. An example might be that all claims in the certain department were from employees there under 1 year. This would mean that they lack proper training and supervision and the training program could be altered to improve this situation. In addition to looking at past claims to identify a possible future claim, the claims information can be used for actuarial analysis to predict future losses. This is very important if you are under a partially self funded plan or in a captive because it will allow you to predict your claims numbers in the future. The more data that is available, the better the analysis will be. Some auditors may request or require this information when performing your annual audit. Below is a great article from Risk & Insurance magazine relating to traveling abroad while on business. A good story for Oklahoman's with regards to the oil & gas industry. The steel door to the jail cell in the Mexican town of Tuxpan closed with a jarring “clank”. On the other side, a police captain walked away, coughing once, before moving out of sight. For the moment, Ernie Herrerra, a field engineer for a Fresno-based oil exploration company, was alone in that jail cell. He was alone and in acute pain. He knew, above all else, that he had to stay calm. He had to think, he had to. But it had all happened so quickly. He felt like he was in a dream, but it wasn’t a dream. The throbbing in the back of his neck made that all too clear for him. Ernie had just finished a day working with core sampling crews in the Mexican state of Veracruz. There were three crews in action, probing for the kind of crude find that would make his company and its business partner, a major multinational energy conglomerate, very happy. It had been a long, hot day, driving dirt and gravel roads, visiting the test sites, talking to the drilling teams, gathering data for his report back to headquarters. He was finished, driving down from the foothills to his hotel room in the town of Tuxpan, when he saw a jeep barreling towards him on the mountain road. Ernie had almost no time to react before the jeep was on him; four young men, joyriding from the looks of it. Too late, the driver saw Ernie’s SUV. The other driver overcorrected first one way, then, overcorrected the other way. With the driver laying on the brakes, the jeep skidded head-on into the front of Ernie’s vehicle. It was going about 35 mph when it hit Ernie. Even though he saw it coming, Ernie was whipsawed by the impact. Lights flashed behind his eyelids as his head was thrown back against his headrest and then tossed forward into the deploying airbag. The force of the backward motion was so severe that Ernie heard something crack and felt a jolt of pain run through his upper neck and the back of his skull. In intense pain, Ernie wasn’t sure if he should even move. What he could see inside the jeep was harrowing. One of the passengers in the backseat was convulsing from what looked like a serious head wound. The driver was unable to move, seemingly pinned into his seat by the wrecked steering wheel. One of the uninjured passengers was trying to tend to his badly injured friend in the back seat. The other uninjured passenger pulled out his cell phone and dialed feverishly. From the snippet of the cell phone conversation that Ernie was able to catch, it sounded like the uninjured passenger was talking to the police and blaming Ernie for the accident. The Tuxpan police chief himself soon arrived, accompanied by an ambulance squad. The squad was too late for the poor boy in the back seat of the jeep. He was motionless and not breathing. As emergency crews worked to safely extricate the driver of the jeep, the uninjured passengers, apart from consoling each other, were on their phones, breaking the horrible news to the relatives of the deceased passenger. Shocked as he was by the death of the young passenger, and weakened by his own injury, Ernie could never have been prepared for what happened next. The police chief questioned him, asking if he had been drinking and whether he was speeding when the accident happened. Next he asked for proof of financial responsibility. “You mean Mexican auto insurance?” Ernie said. “Responsibility, proof of financial responsibility!” the chief said to him in Spanish. Ernie panicked a little, and didn’t grasp what the chief was asking for. He had just grabbed a co-workers’ SUV to get back to his hotel room and had no idea what sort of coverage, if any, had been purchased. “No,” was all he said, repeating it three times to the insistent chief. The chief took Ernie’s cell phone and practically dragged him from the SUV, even though anyone could tell that Ernie had a serious neck injury. Ernie felt that if he was moved at all without neck support the consequences could be dire. Ernie was bilingual, had to be for this assignment. But that did him no good with this police chief. Ernie told him he felt he was seriously injured and shouldn’t be moved. Ernie had to grind his teeth together to fight the pain when they threw him into the police cruiser and took him to this jail cell at the police station. Now, in the cell, Ernie realized just how vulnerable he was. He had no cell phone, and even if he did, he was totally unprepared for this situation. He had never been given any information on legal or medical assistance should he be injured or incarcerated in a foreign country. He wracked his brain. He was young, only 32, and had a pretty good memory. There was nothing about this in the employee handbook that he could remember. He had been briefed on the risks of foreign travel, but he felt given his health, his innate common sense and his language skills that he’d be okay no matter where he went. There was no one in the country he could have called besides a drilling engineer, even if he had a cell phone. What had seemed like a manageable situation was now revealed for what it was, a nightmare in the making. Most of his conversations with supervisors before he boarded the plane in Sacramento focused on communication protocols, cyber security for the highly valuable data he would be sending to headquarters and to the company’s partners in Houston on the potential for big oil finds. As far as protection for him, any kind of safety net, there was none. His neck hurt, but his brain was going numb with the enormity of it all. Ernie’s accident happened on a Friday afternoon. It took 48 hours for his geology team members to put together that he was missing. No one at Ernie’s hotel knew where he was. The team tried local hospitals, fearing he’d fallen ill or been injured. They discovered nothing. “You think he could have been arrested?” one of the team members said. “Doubt it,” said another. Ernie was such a straight arrow. But sure enough, when they went to the Tuxpan police to file a missing persons report, that’s where they found Ernie. Ernie eventually got a visit from one of his team members, an oil geologist, in jail. The geologist called headquarters and told executives there that Ernie was in custody. In the meantime, Ernie’s superiors had been able to convince local contacts for their industry partners that Ernie needed to be released from jail immediately on medical grounds. Four days after the accident, and still with no pain killers in him, Ernie is transported by federal police to Veracruz, where an X-ray reveals that he sustained a fractured cervical vertebrae. Ernie is on a plane to San Diego, his neck in a brace, and finally medicated, when the recognition of his company’s failure to provide him with adequate insurance, and by extension adequate medical and legal assistance in a foreign land, begins to dawn on him. “There is no way I should ever have been in that position,” he says to himself as he pops another extra strength pain killer. The more he thinks about it, goaded by the pain he is in, the angrier Ernie gets. When Ernie lands, he calls his buddy Mike Flaherty, with whom he attended undergrad at the University of Arizona. Mike is now an attorney specializing in employment law and international business. “I mean am I missing something here? Did this company leave me exposed unnecessarily?” Ernie asks Mike. “I’m in a foreign country and I spend four days in jail with a broken neck. Literally, a broken neck,” Ernie says. “With that one passenger dying and the injury to the other, your company could be looking at a serious liability and I’m not even taking into account your pain and suffering,” Mike said. Mike sees Ernie’s case as an open and shut instance where a company failed to adequately protect an employee traveling in a foreign country. Ernie is seen by a specialist upon his reentry to the United States in San Diego. The specialist determines that the failure to immobilize Ernie’s neck when he was first injured, and the fact that he endured four days in that state with no relief, have added to the possibility that Ernie will suffer a permanent weakness in his neck. Ernie was happy to have gotten the job he had. He viewed the oil industry as an exciting place, where a young engineering graduate could travel and make a good living. But the way the company let him down in Veracruz he could not let stand. “Ernie, can we talk?” the executive who recruited him said in one of several voice mails to Ernie that go unanswered. Ernie just sat and listened to the voice mails. “I’m done talking to you,” he said to the phone and to no one. In addition to the costs of medical treatment and patient transportation within Mexico, Ernie’s company is facing a civil action from Ernie alleging that the company failed to adequately protect him while traveling in a foreign country. The story of Ernie sitting in a stifling jail cell in a foreign country with a neck injury plays very effectively with a jury. The jury finds that the combination of a permanent injury with the pain and suffering that Ernie endured as a prisoner resulted in significant monetary damages. His former employer, apart from losing a valuable employee, is now looking at significant premium increases next year, if it can get coverage at all. The appropriate types and limits of insurance, as well as appropriate training of its employees may have let the oil exploration company and Ernie avoid much of this entire nightmare. A failure to secure adequate amounts of in-country coverage and a lack of crisis preparedness adds up to major losses for an oil exploration company that sees a valuable employee injured in a foreign country. 1. Educate beforehand: As our story shows, the failure to educate an employee about the coverage network available to him and the full range of risks he could be exposed to in a foreign land could have dire consequences. Making sure an employee is briefed on how to protect himself during a crisis on foreign soil should be every bit as important as briefing him on the revenue-generating possibilities of the trip. 2. Know the coverage requirements in every jurisdiction: Different nations have different laws in place when it comes to the actions and legal rights of employees that are traveling on business. Our protagonist Ernie Herrerra was jailed because of a provision in Mexican law which requires a driver in an accident to show proof of financial responsibility or face immediate consequences. 3. Establish protocols for international travel crisis management: The time for creating well-understood protocols for managing a crisis on behalf of a traveling employee is before the employee gets on the plane, not after the crisis develops. An entire crisis management safety net should have been constructed for Ernie Herrerra and wasn’t. 4. Purchase coverage at adequate limits: Is insurance coverage for an employee who travels internationally really the place to cut corners? It is oftentimes our most valuable employees that we trust with traveling to meet with clients or to explore other types of business opportunities. On the one hand, we want to protect these clients. On the other, these talented, top-tier performers, are the ones we can least risk alienating, or in this example, litigating against. 5. Do not lose contact: Perhaps the most frustrating piece of this story for the injured, traveling employee was that he lost contact with his company and his co-workers after his accident. If companies get one thing right in their crisis management plans they should make sure they know how to reach an overseas employee and have options for finding him or her if they drop out of sight. According to a USA today Article, Hispanic Workers deaths have jumped while fatalities overall fell. WASHINGTON -- A revised Occupational Safety and Health Administration (OSHA) Field Operations Manual (this is 329 pages) now provides OSHA Compliance Officers with a single source of updated information and guidance to more effectively protect employees from occupational injuries, illnesses, and fatalities. The Field Operations Manual is the guiding document for OSHA's Compliance Officers, whose mission is to assure the safety and health of America's working men and women. The manual assists Compliance Officers in scheduling and conducting inspections, enforcing regulations, and encouraging continual improvement in workplace safety and health. The manual also guides Compliance Officers on how to inform employers about cooperative programs—such as On-Site Consultation, Strategic Partnerships, and the Voluntary Protection Program—to help them eliminate potential or existing hazards from the workplace. "The new Field Operations Manual is a comprehensive resource of existing OSHA policy and procedural documents," said Acting Assistant Secretary of Labor for OSHA Thomas M. Stohler. "It gives Compliance Officers important guidance in implementing OSHA's balanced approach to workplace safety and health: enforcement, education and training, and cooperative programs. The Field Operations Manual will also be a resource for employees and employers, giving them a consolidated reference on how OSHA expects workplaces to be made safe and healthy. This is part of OSHA's continuing commitment to make its standards and enforcement activities transparent and understandable to all parties." The Field Operations Manual, formerly called the Field Inspection Reference Manual, constitutes OSHA's general enforcement policy and procedures for use by the field offices in conducting inspections, issuing citations and proposing penalties. Under the Occupational Safety and Health Act of 1970, employers are responsible for providing a safe and healthy workplace for their employees. OSHA's role is to promote the safety and health of America's working men and women by setting and enforcing standards; providing training, outreach and education; establishing partnerships; and encouraging continual process improvement in workplace safety and health. For more information, visit www.osha.gov. The Occupational Safety and Health Administration (“OSHA”) recently revised its regulation requiring most employers to pay for employees’ Personal Protective Equipment (“PPE”). The rule is intended to clarify OSHA’s PPE Standard and provide employers with control over the issuance and use of PPE. 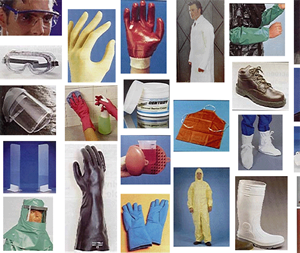 This bulletin will briefly review employers’ major obligations under the new PPE regulation. OSHA’s new regulation generally requires employers to pay for PPE that is used to comply with OSHA standards. The rule also sets out specific exceptions where employers are not required to pay. The Employer Payment for PPE rule applies to all employers in general industry, construction, shipyard, marine terminal, and longshoring operations where PPE is used. For purposes of this rule, OSHA will treat unionized workplaces the same as workplaces without a union or any collective bargaining agreements. PPE for Which Employer Payment Is Required. Rather than impose new requirements regarding PPE that employers must provide, the rule requires employers to pay for PPE used to comply with the amended rule. This requires that employers generally pay for protective equipment, including personal protective equipment used to comply with OSHA standards, with limited exceptions explicitly outlined. Thus, if an item is not PPE or not required by OSHA standards, it is not covered under this rule. When another OSHA provision applies to a particular type of PPE, the payment provisions in that specific standard will prevail. OSHA requires that employers pay for the replacement of PPE, except when the employee has lost or intentionally damaged it (unless another OSHA Standard governing the PPE—or a collective bargaining agreement—specifically requires the employer to pay for all replacement PPE even when lost or damaged). Exceptions to Employer Payment Rule. Shoes with integrated metatarsal guards that attach to the shoes. The employer is not required to reimburse an employee for shoes or boots with built-in metatarsal protection when the employer provides metatarsal guards and allows the employee, at his or her request, to use those shoes or boots. ITHACA, N.Y. – From large international corporations to small local contractors, construction companies that drug test appear to be successfully reducing workplace injuries, according to a new Cornell University study. “While drug testing is controversial, this study provides useful data on a readily-measurable outcome,” says the study’s author, Jonathan Gerber, a student at Cornell University’s School of Industrial and Labor Relations who conducted the study as part of an independent research project. Professor Robert Smith served as the advisor of this study. In the last 15 years, drug testing in the workplace has gone from ground zero to widespread universal employer acceptance. In 1983, less than one percent of employees were subject to drug testing. Today, approximately 49 percent of full-time workers are subject to some from of workplace drug testing, according to the Substance Abuse and Mental Health Administration. This growth is particularly evident within the construction industry. High rates of drug and alcohol-abuse in the construction industry, coupled with the high-risk, safety-sensitive nature of the industry’s jobs have prompted many companies to implement a variety of safety strategies including drug testing – particularly when the safety of workers and the public hand in the balance. The study, titled “An Evaluation of Drug Testing in the Workplace: A Study of the Construction Industry,” was undertaken to test the efficacy of workplace drug-testing programs in establishing safer workplaces by examining company injury incident rates and workers’ compensation experience-rating modification factors over a period of five years. The results reported are based on scientific analysis of data collected form 71 companies by a voluntary survey faxed to a randomly selected national sample of 405 construction companies in December 1999. Additional data was provided by the National Council on Compensation Insurance (NCCI). The average company that drug tests in the study sample experienced a 51 percent reduction in its injury rate within two years of implementing a drug-testing program from a rate of 8.92 incidents per 200,000 work-hours to 4.36 incidents. The difference was proven statistically significant when compared to the 14 percent decline in the average construction firm during the same time period. Drug test is most effective in reducing workers’ compensation experience-rating modification factors in the first three years immediately following the implementation of a program. The vast majority of respondents, whether or not they utilized drug testing, think substance abuse is a “moderately serious problem” in the construction industry. The majority of company officials who responded to the survey think the problem of drug and alcohol abuse on the job has dropped in the past five years. Seventy-two percent of respondents with drug-testing programs in place said they think the benefits of drug testing outweigh the costs. Company officials generally believed their drug-testing programs had a positive impact in virtually every respect. The most positive impacts of the programs concerned the overall safety of the work environment, reductions in workers’ compensation costs, and the quality of job applicants. The number one reason why employers in the construction industry drug test their employees and job applicants is to promote the safety of their workers and those who use the products and services. In addition, company officials believe that drug testing contributes positively to a company’s image and is an effective deterrent in preventing drug abuse. The number one reason why some employers in the construction industry do NOT drug test their employees and job applicants is a concern for increased legal liability. Other reasons include concern that drug testing is too costly or that it is prohibited or restricted by state legislation. The study also revealed that larger construction companies are significantly more likely to test workers for drugs and alcohol. This could make small firms particularly vulnerable to substance abuse problems as drug users may intentionally seek employment where they are not likely to be detected. This was published on a Construction Safety Blog. It can apply to any type of business so I published on my site. - Chris Moxley - Written by Robert F. Tilley, Jr.
Every year in the United States there are over 6,000 workplace fatalities. The greatest majority of these fatalities are men ages twenty-five to forty-four, of which there are approximately 30 million in the United States. That means, using this example, just over 1 in every 6,000 men aged twenty-five to forty-four dies at work each year. In addition to deaths, there are over 6 million U.S. workers that suffer non-fatal workplace injuries with an estimated cost to U.S. businesses of around $128 billion annually. A person's life or health is obviously priceless, but incidents and injuries carry a tangible cost to business, one quarter of each dollar of pre-tax corporate profits, to be exact. The actual cost of a workplace accident or illness to your organization depends on a few different things. Costs depend on how many employees you have, how many incidents you have, the type of work you do and the value of your materials, products or services. For companies that may be experiencing a tough time financially, any losses are serious. Even for a large employer, losing an employee on a job who is skilled in their trade, for even a few days, can have a much larger impact on profits than the actual direct costs might suggest. With smaller businesses this would be magnified because they often have very little buffer when it comes to accidental losses. A serious incident could not just make it difficult to get by, but put them out of business. In fact, according to a recent study, 60 percent of companies experiencing a serious disruption that lasted more than nine days went out of business. "But Wait, What about My Insurance? Isn't My Business Covered?" Insurance only covers what is detailed in the policy, and it usually only pays for serious injuries or damage. Workers' compensation does cover all employee injuries, but you will end up paying for the cost of that injury and more-we'll get into that later. Some of the costs that are not covered by insurance include lost time, sick pay, damage or loss of product and materials, lost time and failure to keep schedule, extra wages for overtime and temporary labor, investigation time and expenses, OSHA fines, loss of contracts, legal costs and loss of company reputation, to name a few. The uninsured costs differ between businesses, the type of work being done, insurance and type injury. No matter how you look at it, though, the uninsured costs are many times greater than the insured costs. If your business is a ship, costs are like an iceberg. Most of the costs are hidden beneath the surface and are not immediately visible, but you feel it when you run into them. Studies have shown that the insurance premium to uninsured cost ratios for the construction industry generally range from 1:9 to 1:41. That means that for every $1 paid in insurance premiums, the company has to pay an additional $9 to $41 themselves for losses arising from incidents. Another way to look at it-uninsurable expenses often run up to as much as 4 times more than the actual costs covered by insurance. Workers' compensation rates reflect the average claim cost per $100 of payroll. Workers' compensation rates can take a huge chunk out of your profits if you are not safe. The average worker's compensation rate for construction is 7 to 8 percent of your payroll, but can be lower for executives, around 2 percent, or 25 percent for more high risk activities. According to the U.S. Census Bureau, construction claims comprise around 21 percent of the total claims for all industries. This is quite a large number considering that only 5.7 percent of the U.S. workforce is in the construction industry. An experience modifier of 1.0 means your company's workers' compensation claims experience is no better or worse than your industry. If you have a lower experience modifier, you pay less. For example, if your business had a 1.47 experience modifier because of increased incidents and injuries and paid $85,958 in premiums, but reorganized, got serious about safety, and got down to a .82 experience modifier, your business would only be paying $47,950. That is almost a $40,000 savings. That $40,000 with a 9 percent profit margin equates to approximately $445,000 in new business each year! There are other savings to be had. Many businesses find that by improving workplace safety and health standards, their investments are repaid by improved productivity and efficiency, less employee absence, good company reputation, less turnover and improved quality of work. Tackling the causes of incidents and injuries is not unnecessary overhead, but an investment in your business. An investment in an effective health and safety program is as valuable as any other for your company. The American Society of Safety Engineers found in a recent study that for every dollar spent on a quality safety and health program, businesses saved $8. That's a healthy return on investment. An investment into an effective safety and health program for your business is just that, an investment. Not only is it unethical to risk an employee's health or safety to save money and cut costs, but in reality, it does just the opposite. It creates unnecessary risks, costs and headaches. A safe company with limited incidents and injuries will not only have an increased profit margin, but will be more appealing to potential clients and good employees. Successful businesses plan for the future, for growth and for potential risks. Safety should play a key role in your strategy and is the reason long-term successful businesses invest so much into their safety and health programs, because as I am sure some of you know, gambling isn't a good long term, or short term investment. Play it safe with safety. You may skimp by for a while, but the house always wins. Robert F. Tilley, Jr. is with SafeTek USA. Written by Safety Center Inc.
By law, the Occupational Health and Safety Administration (OSHA) is required to make unannounced Injury and Illness Prevention Program (IIPP) audits of companies, including commercial construction contractor businesses. The audit is performed to ensure that employers provide and maintain safe working environments for employees. Errors reported in the audit result in fines.In accordance with both state and federal law, every employer is responsible for workplace safety by means of maintaining an IIPP. "The IIPP is a program that clearly states the responsibilities employers and employees must undertake to prevent accidents and losses in writing. Because safety is everyone's responsibility, the IIPP should be easily accessible regardless of your role in the company," said Jerry Bach, vice president and an instructor at the Safety Center Incorporated. Who manages the IIPP program and who is the most involved and responsible? To whom are you supposed to report a safety complaint if you have one? Are safety meetings held? How often are they held? When was the last time there was an accident or near-miss incident here? Did management investigate the accident themselves? What did they do with the information? What changes resulted from the accident? "Even if an employer believes his or her workplace is safe from hazards, the slightest error in IIPP recordkeeping may incur major fines," Bach warns. According to OSHA construction industry guidelines, fines for serious violations can be as high as $25,000, with an initial base penalty of $18,000. Failure to correct an OSHA violation can result in fines as high as $15,000 for each day the violating condition goes uncorrected. "Maintaining an effective IIPP program will save money because accidents cost money. For every dollar you spend on the direct costs of a worker's injury or illness, you will spend much more to cover the indirect and hidden cost," Bach said. Ideally, everyone within the contractor organization is responsible for safety. An effective IIPP is one in which safety responsibility is delegated throughout a contractor organization from top to bottom. During an audit, contractors and their employees should expect to be asked who is responsible for safety. "OSHA auditors will want to know how foremen and superintendents train employees to recognize and respond to hazards, identify causes of accidents and identify how accidents are being preventing," Bach said. Supervisors represent the management team or agency, and their actions are viewed as representative of management at all times. They must be role models for safety. The element of compliance focuses heavily on how a safety discipline and reward system is outlined in an IIPP. "OSHA auditors will ask for a discipline plan in an IIPP to see how a contractor company handles employees who either violate or comply with safety regulations," Bach said. A sound safety discipline and reward system directly reveals how much an employer values his/her employees and safety compliance. "Compliance to safety regulations boosts morale, and thus enables more productivity in the workplace," Bach said. Communication, regardless of work environment, is always crucial to preventing injury or illness. In the construction work environment, an effective IIPP must include formal training, worksite demonstrations and effective tailgate/safety meeting sessions, one-on-one communication and safety committees. Signage, flyers, a suggestion box and safety bulletins are all acceptable means of communication. Construction workers are exposed to toxic agents, have higher death rates from cancer and have a high risk of hearing loss, so it is important to remain aware of hazards at the worksite. Hazard assessment skills should be fully employed while working with paints, cleaners, acids, glue, urethanes, wood, fiberglass, cement, silica, welding, noise, heat stress, confined spaces and lasers. A hazard should be corrected at first observation. When an imminent hazard cannot be immediately abated without endangering employees or property, an employer should remove all exposed personnel and provide all necessary personal protective equipment to guard the face and eyes, feet, hands, body, hearing, head and respiratory function of necessary personnel. Accidents are most likely to happen when unsafe acts occur and when unsafe conditions are present. An unsafe act is defined as failure to comply with an IIPP, operating equipment unsafely, using unsafe tools, unsafe industry work practice and a lack of hazard recognition skills. Physical working conditions include the general environment, equipment, work facilities and ergonomic interaction between the employee and the job. "Unsafe conditions can be damaged equipment, environmental conditions, poor housekeeping, equipment failure or a lack of equipment maintenance," Bach said. A company's IIPP should have an established procedure to investigate injury and illness. This procedure should investigate the cause, prevent a reoccurrence, develop a best work practices to reduce losses and create effective training opportunities. After the accident investigation, it is important to provide additional training to employees, set goals for reducing accidents, hold management and supervision accountable, increase frequency of inspections to find and fix hazards as well as recognize employees who work safely. Training should occur when the IIPP is first established, when new substances and equipment represent a new hazard, when there are new job assignments and for all new hires. There are several ways to hold trainings, including supervisory meetings, a formal training program, hands-on demonstrations, effective tailgates, as well as one-on-one and equipment and job-specific training. Refresher training should be performed as a form of prevention, not just after an accident or safety infraction. Records of scheduled and periodic inspections identifying unsafe conditions and work practices should be kept along with documentation of accident investigations and safety and health training. Reports to Cal/OSHA must be made following serious injury or death, blasting or unusual occurrences, construction activities annual permit, asbestos-related work, use of carcinogens or construction involving lead work. "If you incorporate the eight elements you can successfully avoid fines and maintain a safe working environment for your employees," Bach said. While opening my new blue tooth headset today, I started wondering how many people had been injured opening these bulletproof plastic packages. I had to get wire cutters to open the packaging and almost sliced open my arm in the process. I looked it up and the Consumer Products Safety Commission reported that injuries from plastic packaging resulted in 6,400 emergency room visits in 2004 alone. I'm sure this has gone up from 2004. These people need to seriously consider getting rid of this ridiculous plastic packaging.